He’s been in and out of prison during Recep Tayyip Erdogan’s rule and is running against the president in this weekend’s Turkish elections with no chance of defeating him and little hope of winning a seat in parliament. Yet, Dogu Perincek wields significant influence in Turkey’s security and intelligence establishment and sees much of his Eurasianist ideology reflected in Mr. Erdogan’s foreign policy. With Mr. Erdogan likely to emerge victorious from Sunday’s election despite the opposition posing its most serious challenge to date, Mr. Perincek looks set to be a winner even if he does not make it into parliament. 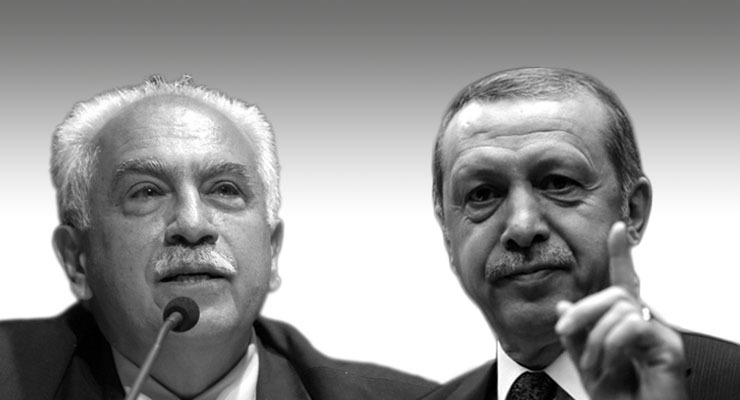 Messrs. Erdogan and Perincek seem at first glance poles apart. Mr. Perincek is a maverick socialist and a militant secularist whose conspiratorial worldview identifies the United States at the core of all evil. By contrast, Mr. Erdogan carries his Islamism and nationalism on his sleeve. Nonetheless, Mr. Perincek’s philosophy and world of contacts in Russia, China, Iran and Syria has served Mr. Erdogan well in recent years. His network and ideology has enabled the president to cosy up to Russia; smoothen relations with China; build an alliance with Iran, position Turkey as a leading player in an anti-Saudi, anti UAE front in the Middle East; and pursue his goal of curtailing Kurdish nationalism in Syria. 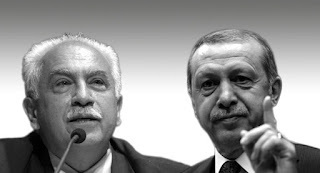 Tacit cooperation between Messrs. Erdogan and Perincek is a far cry from the days that he spent in prison accused of having been part of the Ergenekon conspiracy that allegedly involved a deep state cabal plotting to overthrow the government in 2015. It was during his six years prison in that Mr. Perincek joined forces with Lt. Gen. Ismail Hakki Pekin, the former head of the Turkey’s military intelligence, who serves as vice-chairman of his Vatan Partisi or Homeland Party. His left-wing ideology that in the past was supportive of the outlawed Kurdish Workers Party (PPK) viewed as a terrorist organization by the Erdogan government, has not stopped Mr. Perincek from becoming a player in NATO member Turkey’s hedging of its regional bets. Together with Mr. Pekin, who has extensive contacts in Moscow that include Alexander Dugin, a controversial Eurasianist extreme right-winger who is believed to be close to Russian President Vladimir Putin, Mr. Perincek mediated the reconciliation between Moscow and Ankara following the Turkish air force’s downing of a Russian fighter in 2015. The two men were supported in their endeavour by Turkish businessmen close to Mr. Erdogan and ultra-nationalist Eurasianist elements in the military. Eurasianism in Turkey was buoyed by increasingly strained relations between the Erdogan government and the West. Mr. Erdogan has taken issue with Western criticism of his introduction of a presidential system with far-reaching powers that has granted him almost unlimited power. He has also blasted the West for refusing to crack down on the Hizmet movement led by Fethullah Gulen, a Turkish imam who lives in exile in Pennsylvania, whom Mr. Erdogan holds responsible for an unsuccessful coup in 2016, in which more than 200 people were killed. Mr. Erdogan has rejected Western criticism of his crackdown on the media and dismissal from public sector jobs and/or arrest of tens of thousands accused of being followers of Mr. Gulen. Differences over Syria and US support for a Syrian Kurdish group aligned with the PKK have intensified pro-Eurasianist thinking that has gained currency among bureaucrats and security forces as well as in think thanks and academia. The influence of Eurasianist generals was boosted in 2016 when they replaced officers who were accused of having participated in the failed coup. Eurasianism as a concept borrows elements of Kemalism, the philosophy of Mustafa Kemal Ataturk, the visionary who carved Turkey out of the ruins of the Ottoman empire; Turkish nationalism; socialism; and radical secularism. It traces its roots to Kadro, an influential leftist magazine published in Turkey between 1932 and 1934 and Yon, a left-wing magazine launched in the wake of a military coup in 1960 that became popular following yet another military takeover in 1980. Eurasianism is opposed to liberal capitalism and globalization; believes that Western powers want to carve up Turkey; and sees Turkey’s future in alignment with Russia, Central Asia, and China. Mr. Perincek’s vision is shared by hardliners in Iran, including the powerful Islamic Revolutionary Guard Corps, who advocate an Iranian pivot to the east on the grounds that China, Russia and other members of the Beijing-led Shanghai Cooperation Organization (SCO) were more reliable partners than Europe, let alone the United States. The Guards believe that Iran stands to significantly benefit as a key node in China’s infrastructure-driven Belt and Road initiative and will not be confronted by China on its human rights record. Some Iranian hardliners have suggested that China’s principle of non-interference means that Beijing will not resist Iran’s support of regional proxies like Lebanon’s Hezbollah militia, Shiite militias in Iraq, and the Houthis in Yemen in the way the United States does. Their vision was strengthened by US president Donald J. Trump’s unilateral withdrawal from the 2015 international nuclear agreement with Iran. China, Russia and Europe have vowed to uphold the deal. Iranian empathy for Eurasianism has been reinforced by Chinese plans to invest $30 billion in Iranian oil and gas fields, and $40 billion in Iran’s mining industry as well as the willingness of Chinese banks to extend loans at a time that Mr. Trump was seeking to reimpose sanctions. Turkey’s embrace of the Eurasianist idea takes on added significance after Russia and the European Union slapped sanctions on each other because of the dispute over Russian intervention in Ukraine. The EU sanctions halted $15.8 billion in European agricultural supports to Russia. Russian countermeasures prevent shipment of those products via Russia to China. Mr. Perincek may, however, be pushing the envelope of his influence in his determination to restore relations between Turkey and the regime of Syrian President Bashar al-Assad. “The first thing that we will do after victory in the election is that we will invite Bashar Assad to Ankara and we will welcome him at the airport. We see no limitations and barriers in developing relations between Turkey and Syria and we will make our utmost efforts to materialize this objective,” Mr. Perincek vowed in a campaign speech. More in line with Mr. Erdogan’s vision is Mr. Perincek’s admiration for China. "China today represents hope for the whole humanity. We have to keep that hope alive… Every time I visited China, I encountered a new China. I always returned to Turkey with the feelings of both surprise and admiration," Mr. Perincek told China’s state-run Xinhua news agency.